Fast is the new big. Small and medium sized-businesses (SMBs) already know that agility and responsiveness are often their advantages when competing against larger organizations. 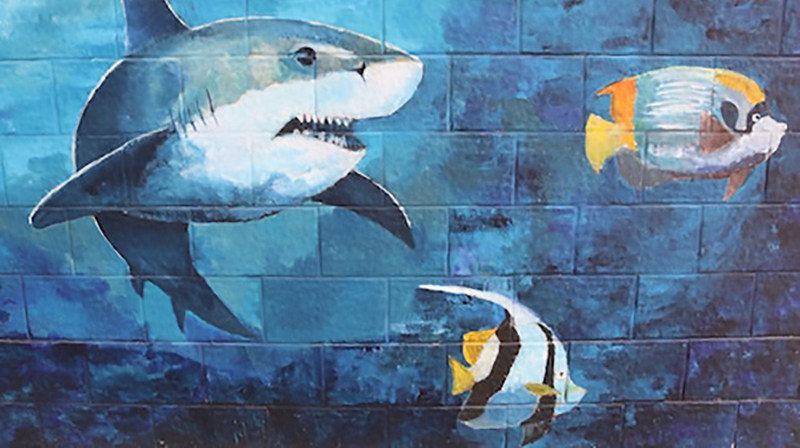 Like small fish swimming in an ocean of sharks and whales, what SMBs give up in terms of raw size and power can be made up for with the ability to dart in and out of danger, and move quickly to new areas of opportunity as currents change. Embracing a fast, flexible business technology infrastructure is a sure sign of an SMB built to thrive in a global economy full of big, established players used to leaving the little fish scrambling to survive in their wake. A global survey of SMBs conducted by Salesforce and research firm Techaisle found a sort of ‘ digital divide’ in the SMB world. Businesses capitalizing on the cost and speed advantages of cloud computing — including analytics and modular solutions built around core cloud technologies like CRM — have a leg up on their counterparts when it comes to charting a course towards near- and long term sustainable success. Digitization: The first step in embracing an agile, digital business approach, digitization refers to the process of replacing manual documents and tasks with digital alternatives. Digitalization: Digitalization builds on digitized assets and tasks, delivering automated processes that streamline existing business practices. Digital business: Digital business isn’t really part of the digitization/digitalization/digital transformation progression. It is a generic term used to describe the application of digital competencies to business objectives. According to Techaisle’s research, the SMB migration from digitization to digitalization to digital transformation is already underway. A modular approach to digital business built around cloud-based CRM can include marketing automation, cloud-based customer service, analytics, and more. And, no surprise, SMBs on the leading edge of digital business innovation are building significant operational advantages over the ‘have nots’ in the digital divide. Techaisle’s research segmented SMBs on the two sides of the digital divide according to digital strategy, cloud maturity, and cloud tactics. The results? You guessed it: The more cloud-native a business is, and the more holistically integrated their digital strategy, the better positioned they are to thrive in the future. SMBs that are born-in-the-cloud (BITC) and mature cloud adopters are developing business process advantages that will be difficult for even SMBs at an intermediate adoption level to overcome. More than half of the mature/BITC group has reduced IT costs, as compared with just 5% of intermediate adopters, and that the advanced group is more than five times as likely to have reduced business process costs as their digital laggard counterparts. The mature/BITC group is also about twice as likely as the intermediate users to have improved employee productivity and business agility. Overall, SMBs using a holistic approach to digitalization are 52% more likely to reap the seven key benefits explored in the survey – increased revenue, improved profitability, better customer satisfaction and retention, increased sales reach, increased market share, improved upsell/cross-sell, and improved brand image – than firms in the inclusive or siloed categories. These and other key findings from Techaisle’s research illustrate the advantages of SMBs going all-in on digitalization initiatives. Dipping a toe in the water isn’t enough when it comes to digitalization: leaders reap tangible business benefits, while laggards get lost in the digital divide. Techaisle’s white paper, Eat or Be Eaten: Why SMBs Must Beat the Digital Divide explores how leading SMBs are building agile business strategies around CRM, marketing automation, customer service, analytics, and more, to adapt to new opportunities and grow their businesses. The white paper addresses common concerns and challenges faced by SMBs considering a move to the cloud, and illustrates best practices and real-world outcomes associated with digitalization strategies. Download the white paper and learn more about making holistic digitalization strategies a part of your SMB.